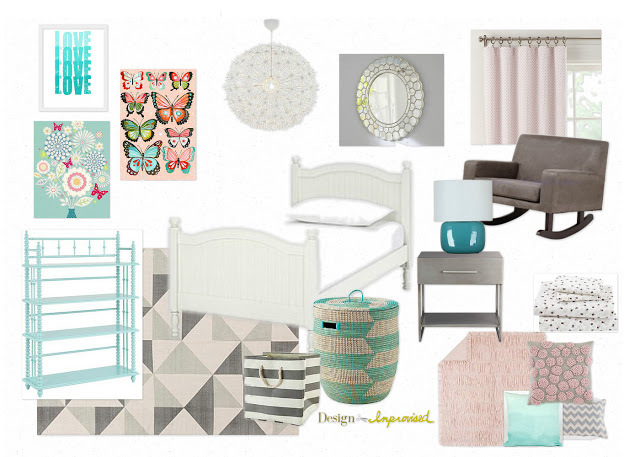 My latest kids room design might just be my favorite. I love working on little girls’ rooms! This time my client was a curly haired 2 year old named Sierra. With the arrival of a new baby sister, Sierra was getting a big girl bed and a new big girl room to match! The pale pink walls and grey ceiling in Sierra’s new room served as the starting point for the basic pink and grey color palette. Her mom also had a couple great pieces for the room already – the IKEA PS MASKROS pendant lamp and the modern grey rocking chair. It is cool how you can change the feel of the room just by playing around with accent colors. Sierra is going with the teal version. Which do you like best? What other accent colors would you try? 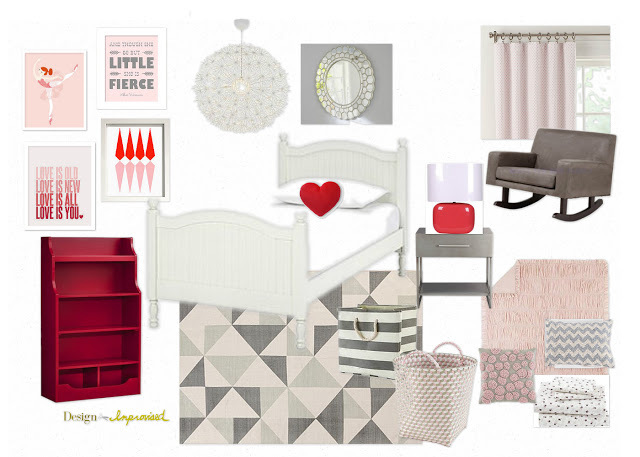 Interested in any of the specific pieces in the mood boards above? Leave a comment below and I’ll respond with the details!